Speed Breeding: Could This Be Our Answer To Food Insecurity And Overpopulation? Whilst virtual reality (VR) is most commonly seen as providing an immersive gaming experience, its applications could potentially be far more widely applied than trying your hand at being a gourmet chef in PlayStation’s ‘Job Simulator’ game, the most popular VR title to date, with more than $3million in sales. 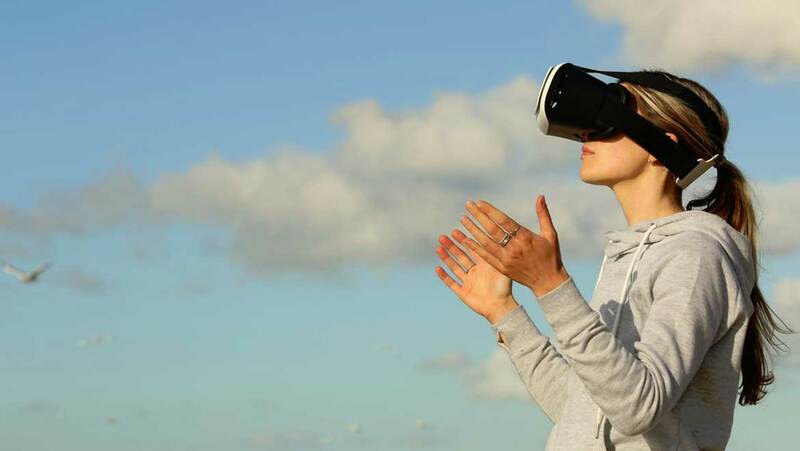 Researchers at University College London (UCL) and ICREA-University of Barcelona have been working on applying VR technology to the potential treatment of people with depression, and have reported encouraging early results. The UK mental health charity, Mind, estimate that in 2009 (the most recent available figures) depression affected 2.9 out of every 100 people, with mixed anxiety and depression affecting almost 10 in every 100 people. With VR headsets becoming more and more commonplace in people’s homes, the ability to use these for more than just gaming is certainly intriguing. Depression can take many forms, but those suffering often report feelings of being very self-critical and also lack compassion for themselves. They will often react to themselves in a particularly harsh, critical and contemptuous way. For instance, The Self-Compassion and Self-Criticism Scale (SCCS) used to diagnose patients with depression in the UK will ask patients to rate how they would react to themselves in a range of scenarios, for example arriving home to find that they had left their keys at work. Those suffering from depression will be far more critical of themselves in this situation than others, and the VR experience is aimed at reducing their levels of self-criticism and increasing self-compassion. Some people suffering from depression feel embarrassed when shown compassion by others. In these instances, one-on-one therapy may make them feel awkward and anxious, with the option of being able to use VR experience on their own being far preferable. Currently the simulation is only set up for use in the research lab but the hope is that it could become a way of reaching people in their own homes. The study, which had already been tested by healthy volunteers, focused on 15 depressive patients, with an age range of 23 – 61. The VR experience involved an eight-minute scenario whereby initially, users saw an avatar of themselves. The virtual body is seen by the user to be moving the same way as their own body, producing an effect known as ‘embodiment’ which allows the user to feel as if the virtual body is their own. The next stage of the scenario is for the user to see a distressed and crying child. As they talk compassionately to the child and offer it comfort, the child stops crying and begins to respond positively to the adult. After a few minutes of comforting the child, the user is embodied in the body of the child, and sees and hears the adult avatar comforting them using the same words and gestures that they used to comfort the child. By comforting the child, and hearing their own words repeated back to them, the study was hoping to teach patients to show both more compassion to themselves, and be less self-critical. Indeed, the study reported some positive results. Nine of the patients reported reduced symptoms of depression a month after the therapy, with four of these displaying a clinically significant drop in the severity of their depression symptoms. Users also reported a real sense of ownership of the adult body, transitioning to recognising themselves as the adult once embodied in the child’s role, and feeling comforted and reassured by themselves whilst they were the child avatar. Will Robots Ever Take Over from Teachers?